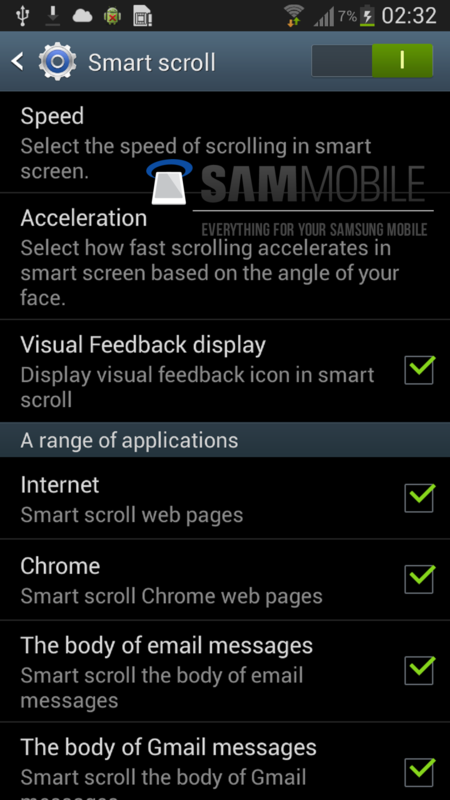 We of SamMobile have just received some screenshots of the Galaxy S IV. These screenshots mainly confirm that Samsung’s next generation Galaxy S will indeed have the much hyped Smart Scroll and Smart Pause features. 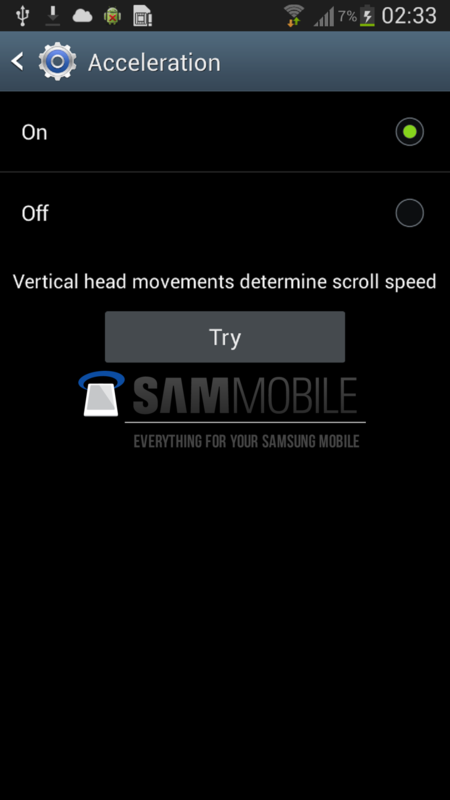 The screenshots also confirm that the Galaxy S IV will feature a Full HD 1080p panel. It also looks like that Samsung is keeping some UI elements from the Galaxy S III but we are looking forward to see Samsung’s upcoming Nature UX 2.0. UPDATE: We have just found out that these images are actually from the Android 4.2.1 leaked firmware for Galaxy S III and we were given the wrong information by the tipper. 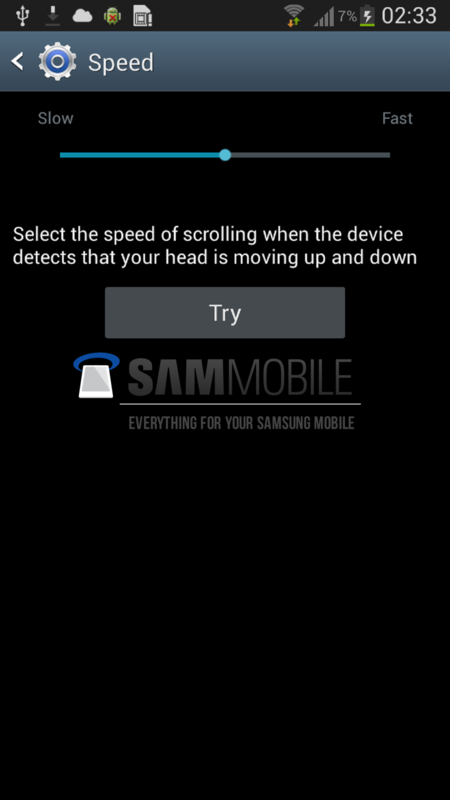 Though, The Galaxy S IV will indeed have these features as confirmed by our insider. on XXUFMB3, pull down the notification bar with 2 fingers and long press on Smart Stay. VOILA!!! But sadly, none of them work. I’ve flashed the leaked firmware and I’m running it right now and it has only smart stay and smart rotation. no smart scroll, no smart pause. 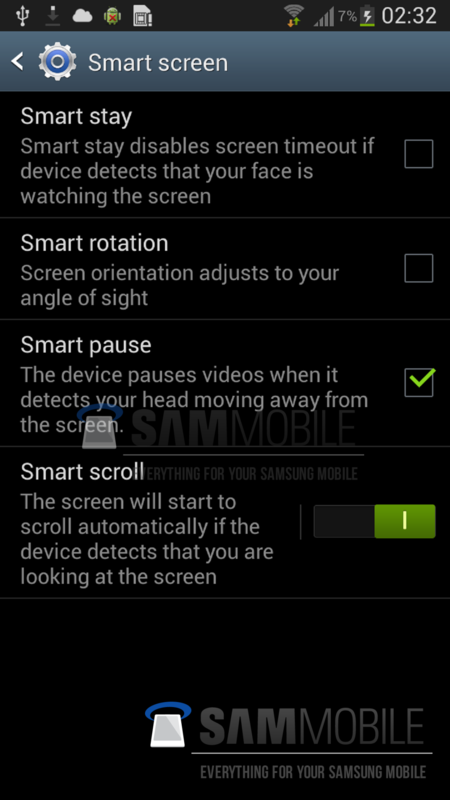 the leaked firmware does only have “smart stay” and “smart rotation”, but no smart scroll nor smart pause. so these screen shots do belong to an s3 with XXUFMB3. Oh wait…there is smart scroll in the above images, the last one. So, how can the phone on the screen have a network connection (except Wi-Fi) without a sim-card inserted? Well, right next to the Wi-Fi symbol is the network connection signal strength. As the symbol to the left on the status bar implies, there’s no sim-card inserted so there shouldn’t be any network connection except for Wi-Fi. Yup…that’s the only explanation. No PIN number inserted and/or emergency signal bar. I don’t think that they would fake those pages, because has been confirmed time ago. I can’t wait till the Galaxy S4. It will tell me so much about the upcoming Galaxy Note 3.